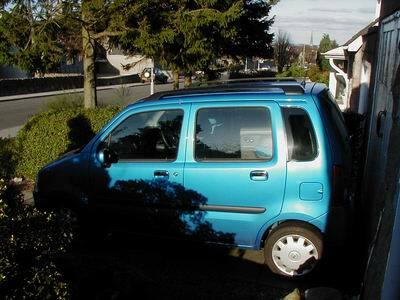 The wind has not gone away but it is not nearly so strong now thank goodness, even in frames which provide a little shelter the damage caused by the wind can be seen. 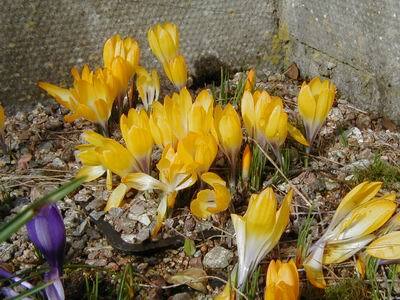 Crocus scardicus looks a bit battered but it will perk up as it puts up a succession of flowers over a month or so. 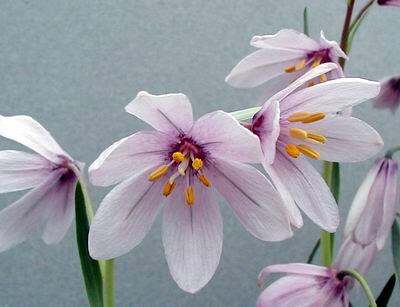 This is one of the Crocus species that enjoys the colder growing conditions of the North. 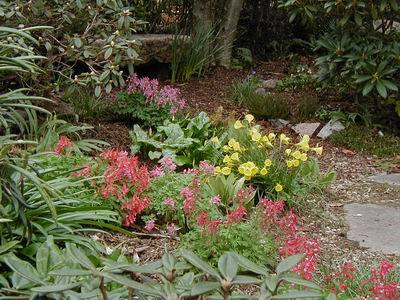 In the garden Narcissus bulbicodium is in full flower and the corydalis are still going, the pale pink one in the distance is Corydalis 'Highland Mist' a very useful cultivar as it is just coming out now as some of the other forms are going over. 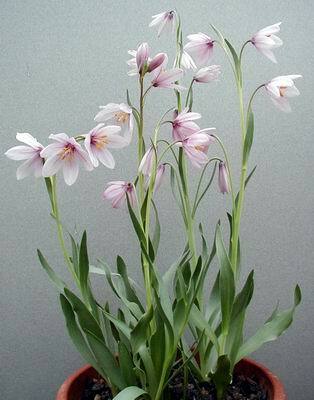 The erythroniums are just entering their peak flowering period and I was interested in this E. oregonum. 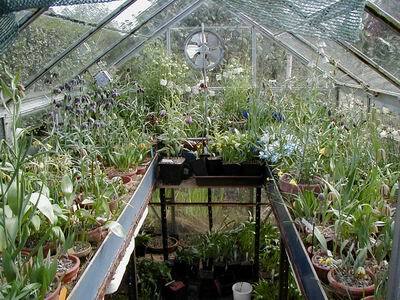 It is a group of seedlings and the one on the right always opens upright and does not turn over for about four days, I have watched for a number of years now. 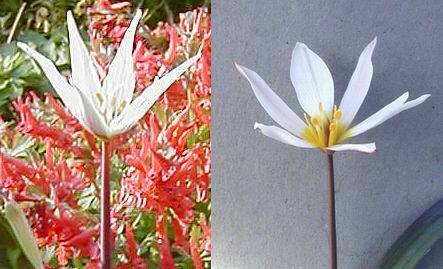 It always reminds me just how closely related erythroniums are to tulips. 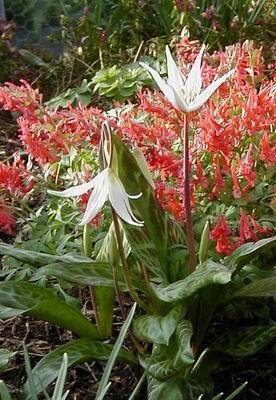 Erythronium left and tulip right. 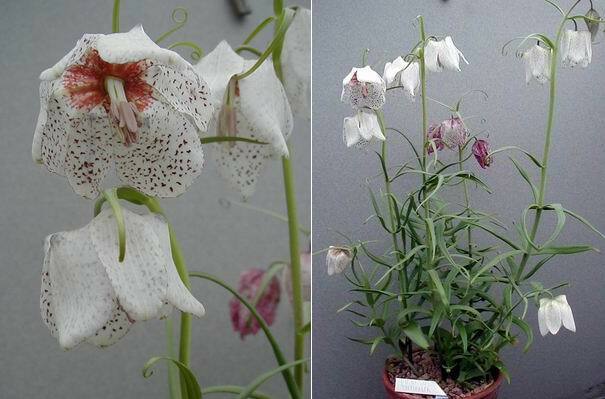 The Frit house is at its peak just now with dozens of species in flower, we took 47 pots of Frits to the Stirling Show last Saturday and that was all we could fit into our wee car Verity Vauxhall. 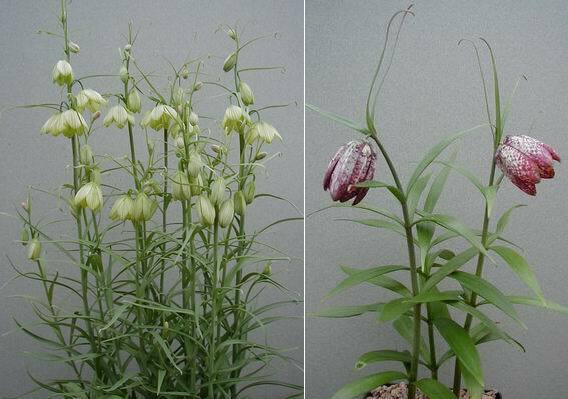 Some of the Chinese ones that have come over in the last few years are F. thunbergii which has been around for a long time but it is always good to get in some fresh stock. This thunbergii I think is a single clone that is not very fertile, in fact most of the flowers have no style and the ones that have, despite ensuring they were pollinated, have set no seed to date. 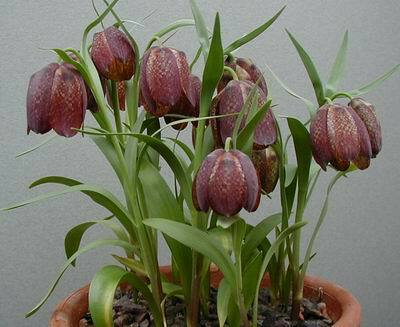 Frit pingwuensis is new to me and I am not even sure if it is correctly named it is definitely different from anything else that I have seen, I hope that it will set seed this year. I showed you Frit tortifolia in the last log but I thought it worth photographing again to show its great beauty, this is not clonal and it does set lots of seed. 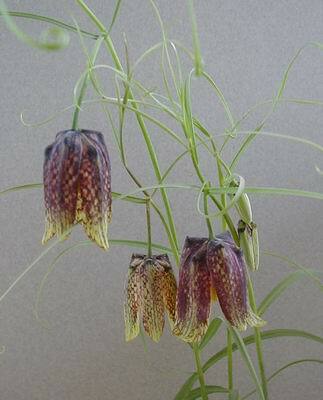 Frit ussuriensis is also settling down well having flowered for the last four years and setting seed, it also produces rice grain bulbils. Two North American Frits now, the first F. affinis tristulis a well known outstanding form of this variable species which produces masses of rice grains every year. The second is F. pluriflora again for the second time in a row but it was awarded an Award Of Merit by the Joint Rock Garden Plant Committee on Saturday and I took a better picture for you. 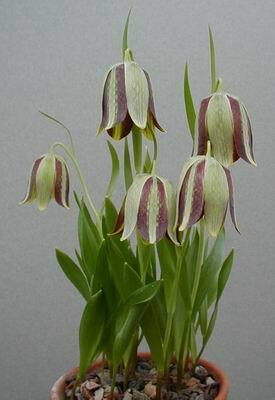 There are lots of forms of Frit hermonis amana going around and this is perhaps the most desirable form. 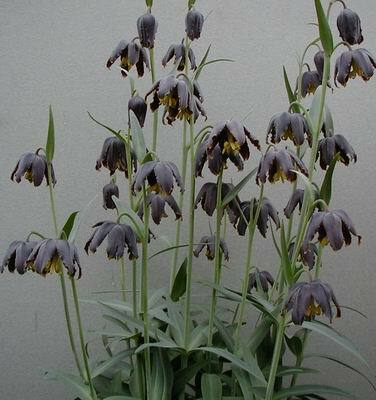 Lastly for today here is Fritillaria grandiflora often called F. kotschyana ssp grandiflora but I cannot see why it is given as a subspecies of what I think is a totally separate plant. We grow a number of forms of kotschyana and I cannot see that they are that close.